Brooke Dumas and Remington Tate meet at an underground fight when Brooke catches Remy’s eye from the ring. 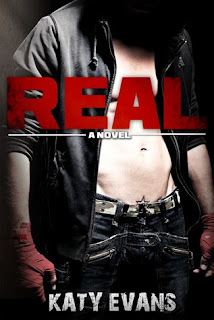 Remy is a fighter and Brooke is scared to live her life and take any risks. I loved the story of the personal issues and struggles that each character faced. I truly fell in love with the characters, although, I found myself irritated with Brooke through a lot of the book. Remington is caring and loving but also has issues with his mental health and sometimes even anger management. Katy writes this story with so much emotion and gives Remy such depth that as a reader you cannot help but feel his emotions and agonize with him. I truly thought this was a great book with an excellent plot and character development. The only thing I disliked was sometimes feeling like Katy overwhelmed me with descriptive details. I love details and enjoy the picture they paint but sometimes so many details can end up taking away from the story. Details aside I recommend you jump on this story's emotional roller coaster, its a ride you don't want to miss.